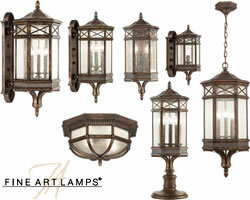 H 11" x W 21"
Flush mount of individually beveled, leaded glass panels set in a dramatic dark wrought iron patina. 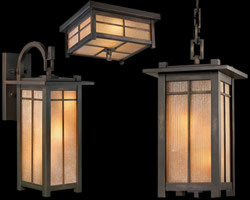 Most Fine Art Lamps products can be customized and may be converted to 220v. 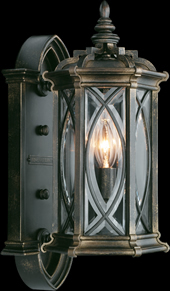 H 31" x W 13"
Large lantern of individually beveled, leaded glass panels set in a dramatic dark wrought iron patina. 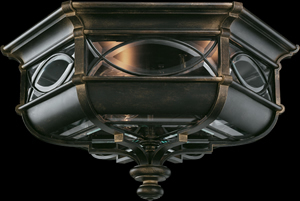 H 16" x W 7" x D 8"
Small wall mount of individually beveled, leaded glass panels set in a dramatic dark wrought iron patina. 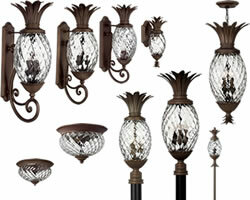 H 33" x W 11" x D 11"
H 41" x W 13" x D 13"
Large wall mount of individually beveled, leaded glass panels set in a dramatic dark wrought iron patina.